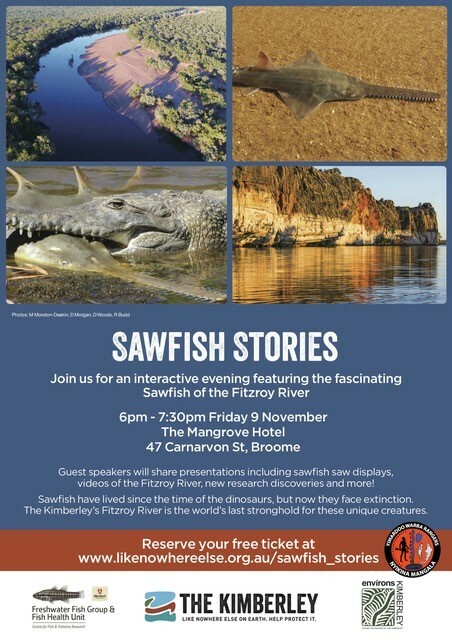 Scientists and Nyikina Mungala Rangers will provide a fascinating presentation and Q & A on sawfish in the Fitzroy River, Kimberley WA. Would you like to learn about Roebuck Bay’s remarkable migratory shorebirds and be part of 30th birthday celebrations for the Broome Bird Observatory? 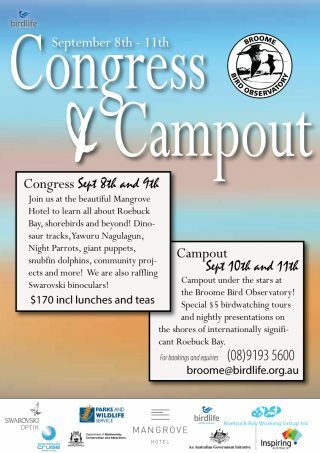 Well put aside Sept 8-9, 2018 to hear a series of fascinating presentations put on by the Broome Bird Observatory and Birdlife-Australia. The full list of presenters will be out soon with a brief description of each talk. Register on Broome Bird Observatory website or call direct 08 91935600. 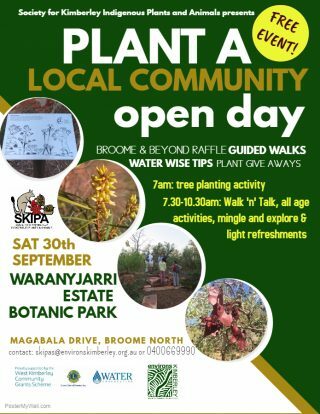 Waterwise information and talks from Broome Bird Observatory about bird attracting gardens. 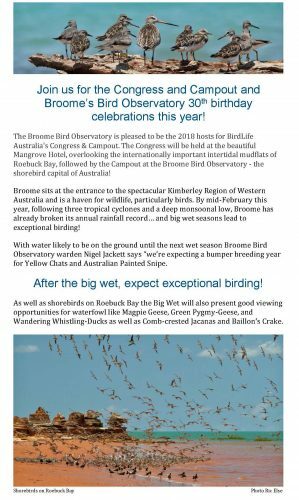 Read about the innovative work of the Roebuck Bay Working Group in the latest RBWG eNewsletter June 2017. 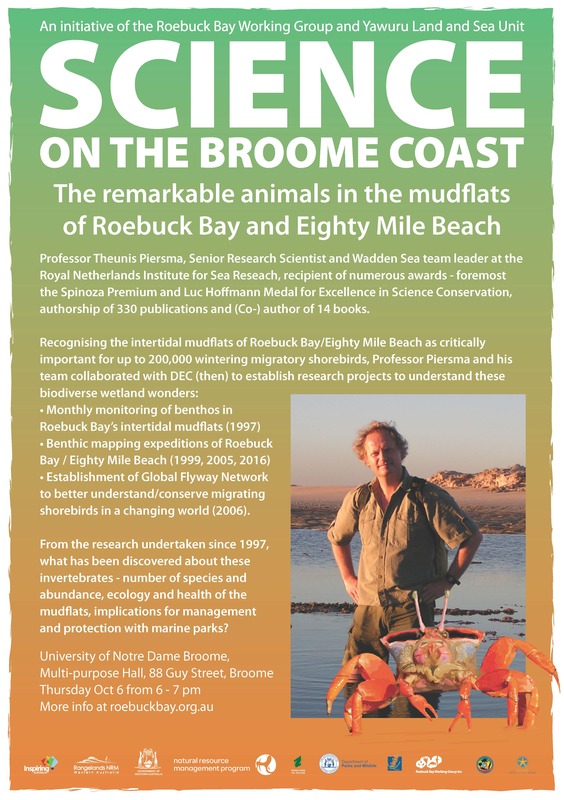 The Roebuck Bay Working Group also runs a Science on the Broome Coast series. 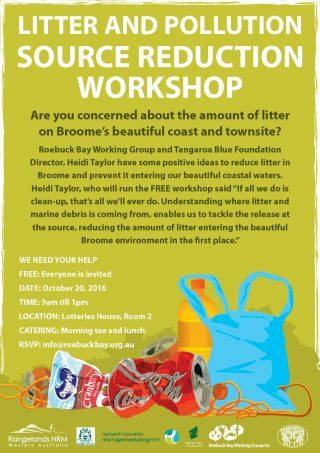 Check out the presentations coming up and come along, they are all free events and you will discover a lot about Roebuck Bay and the Kimberley coast. 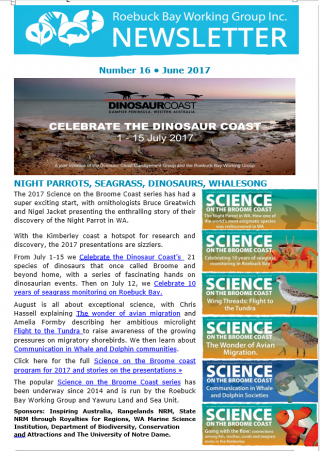 Enjoy reading our eNewsletter and let us know if you want any further information about any of the events we put on. 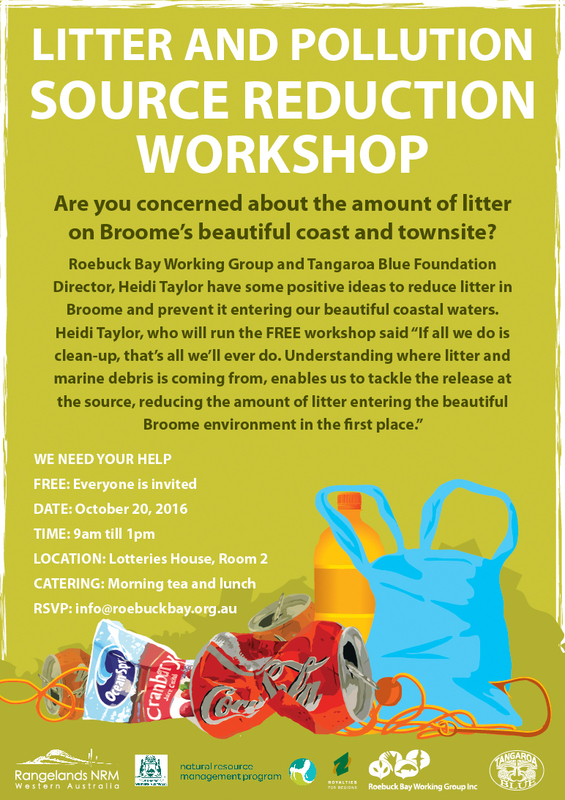 With the help of community volunteers, valuable scientific data has been methodically collected over the last ten years on the health of Roebuck Bay’s seagrass meadows. 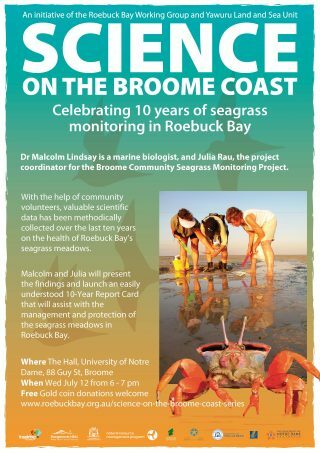 Marine Biologist Dr Malcolm Lindsay and Julia Rau, project coordinator of the Broome Community Seagrass Monitoring Project, will present findings and launch an easily understood 10-Year Report Card that will assist with the management and protection of the seagrass meadows in Roebuck Bay. ats of Roebuck Bay/Eighty Mile Beach as critical for up to 200,000 wintering migratory shorebirds, Professor Piersma and his team collaborated with DEC (then) to establish research projects to understand these biodiverse wetland wonders. From the research undertaken since 1997, what has been discovered about these invertebrates? ‘The remarkable animals of Roebuck Bay and Eighty Mile Beach’, University of Notre Dame Multipurpose Hall, Thur Oct 6, 6pm. Sponsored by Inspiring Australia, Rangelands NRM through the Federal Government Landcare Program, Western Australia Government’s State NRM Program, supported by Royalties for Regions, WA Marine Science Institution, Department of Parks and Wildlife and The University of Notre Dame.